A Note from the Author: "I make no claims for my poems beyond their immediate meanings to me. That is acceptable! 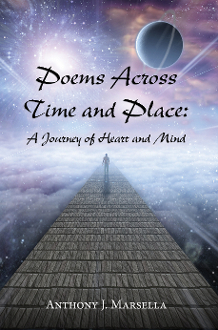 I wrote and compiled the poetry volume for myself, especially in the last two to three years of my life as my wife's departure after 50 years of marriage and the filing of a divorce left me alone, in solitude and sorrow. In the rawness and pain of these moments, I was closer to my emotions. I could use them as sources of insight and understanding. The emotions of my new life enriched me, gave me both words and courage. This is what poetry is about for me. When all the pronouncements of academic experts regarding poetry are placed aside, poetry can be understood as a person's life voice--speaking, crying, laughing, wondering--for itself."